The anticipation of Kylie Jenner‘s Lip Kit came to an astounding halt when reportedly all three shades of her first set sold out online in under five minutes. 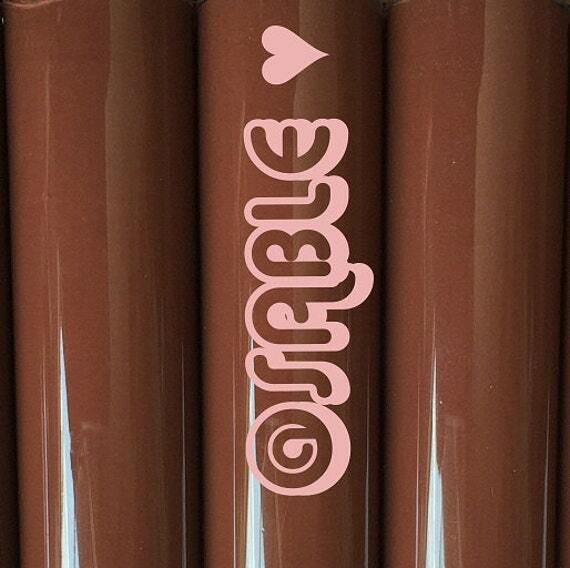 Hinting at the launch for months via Instagram, Jenner finally released Candy K (a peach-based light pink), Dolce K (chestnut based pink-brown) and True Brown K (deep chocolate brown). But in later years, brown lipstick then just fell out of touch as lip gloss took over and the returned love for pure red lipstick. Even purple had a moment. Now, brown is it again and probably better than when it was when Bonne Bell was hawking it. Formulas are richer, the browns more pronounced, and the overall effect can be both chic and edgy. So while True Brown from Jenner remains soldddddd out (if you want it eventually, it’ll cost you $29, and comes with a matching lip liner), they are plenty of others brown hues that are just as flattering. They’ve already been on the market and have cult followings in their own right! Here are some choices below, along with their price points. Ruby Kisses Matte Lipstick in Spicy Brown, $2.99 (This color might be new but oddly isn’t shown with the rest of the Matte shades on Ruby Kisses’ official website. But check any local beauty supply stores as that it where I found mine). LA Splash Lip Couture in Untamed, $11 (this color is gorgeous, but the texture is not the most comfortable once it dries off).